Court proceedings can seem esoteric, especially if you've never been to court before; it's not obvious how often you'll need to appear or what the purpose of your appearances are if you're unfamiliar with the legal system. The truth of the matter is that there's a lot of variety in how court proceedings will unfold depending on where you live. Here, we'll go over how simple court proceedings might progress; to follow along, use this handy chart to follow along as we go through the flow of a petty offence trial. The first step, of course, is that some act must be conducted, and that act must be perceived by illegal by some entity which reports it. Once the act is reported, an investigation is conducted; with sufficient evidence, an arrest might be made. Evidence to make an arrest does not, however, constitute evidence of guilt, and so a trial must still be held. The next step is the booking, in which the police department records vital information and details about the alleged crime. They check to see if there are any outstanding warrants, then place the suspect in a holding cell or local jail. The suspect can leave if they post bail. The next is the preliminary hearing, which is sometimes combined with the arraignment. The defendant is read the charges of which they are accused, and advised of their right to a trial. They are equally advised of their right to a trial by jury, and their right to have legal representation; should the defendant not have representation, it may be provided to them. During the arraignment, the defendant enters their plea; when they enter a guilty plea, a date may be set for sentencing, or sentencing may be passed the same day. When a not guilty plea is entered, a trial date is set if the judge feels there is sufficient evidence to go forward. The final step is the trial itself, where evidence is heard and a judgement is made. The judge, and if applicable jury, here all the evidence and the arguments made by both sides of the court. Should the defendant be found not guilty, there are no further steps; should the defendant be found guilty, however, the judge will determine a date for sentencing. The judge is responsible for determining the sentence, even in trial by jury, in most jurisdictions. There are many advantages to having representation at all steps of the process; what we have just looked at is the most bare-bones guidelines to how a trial usually proceeds, without getting into the nitty-gritty. Having an attorney to discuss how you should plead, how your case will proceed, and how to navigate the system is essential, especially in a case where you've been arrested. 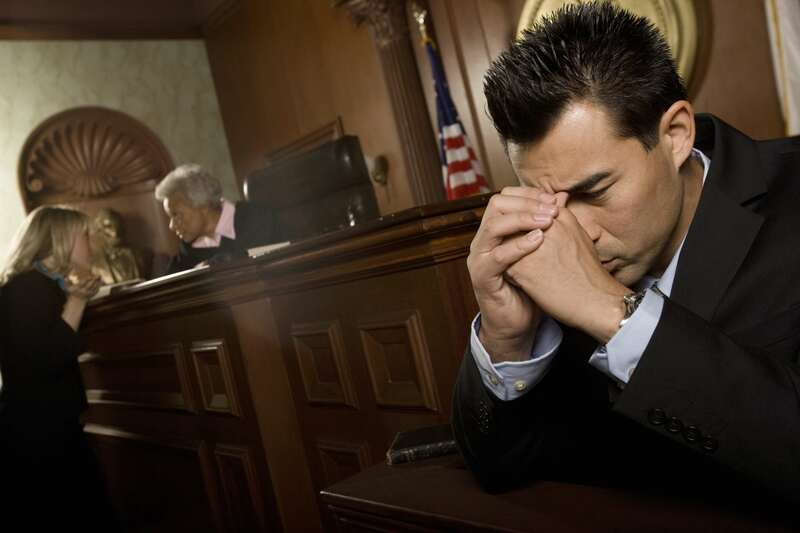 Attorneys are costly and risky; having a local appearance attorney can help assuage any fears they may have. Appearance attorneys can be extremely useful in the worst of scenarios; they take a load off of your mind. They're especially useful when local - they know the local laws and customs, the courtroom staff, and they're likely to make your client feel more comfortable.court appearance professionals, and they'll make sure you can look, sound and act the part. The steps outlined here pertain to petty offences; felony charges are a lot more complicated, and it's even more important to have representation guide you through the process.